I'm not sure when I'll stop being surprised by the moments when everyone is happy and getting along. I hope I don't. If I'm not surprised, I'll stop noticing and I won't get to enjoy the bliss of those precious moments. 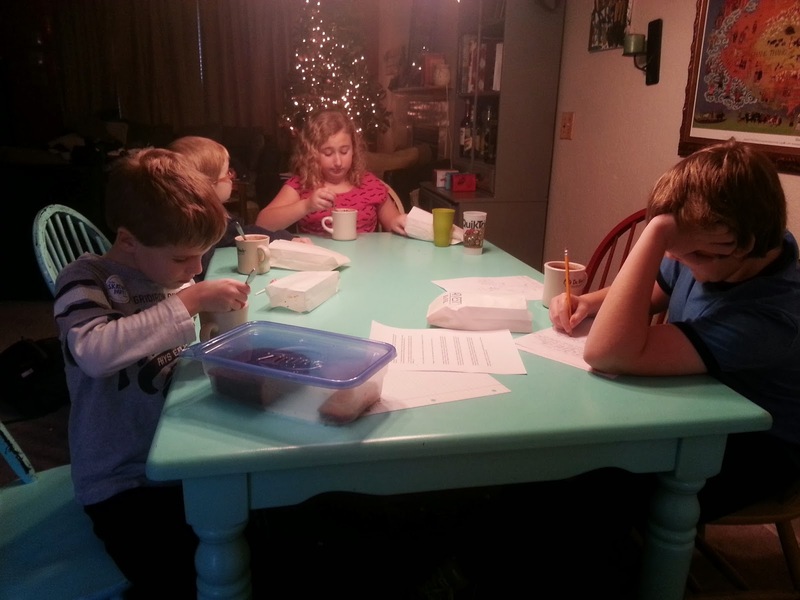 Homework, hot chocolate, popcorn and sibling love after school. Lovely!